Well the postal strike is over and hopefully Sam and the autographs aren’t far behind. Sorry there was no post last week, but I decided to take a week off and get caught up on the many other things we all deal with in life. So with no mail over the last couple of weeks, I decided to answer a question many of you may have, but have never asked. Are any of my hockey cards worth anything? The answer without looking at your collection: Probably not. The fact is, if your hockey cards are from 1989 to 1999 with a few minor exceptions, they are worth very little as far as the price guide is concerned. There are so many out there for sale that you likely won’t be able to sell your cards for anything beyond a couple cents a piece for stars and a few cards per penny for the commons. 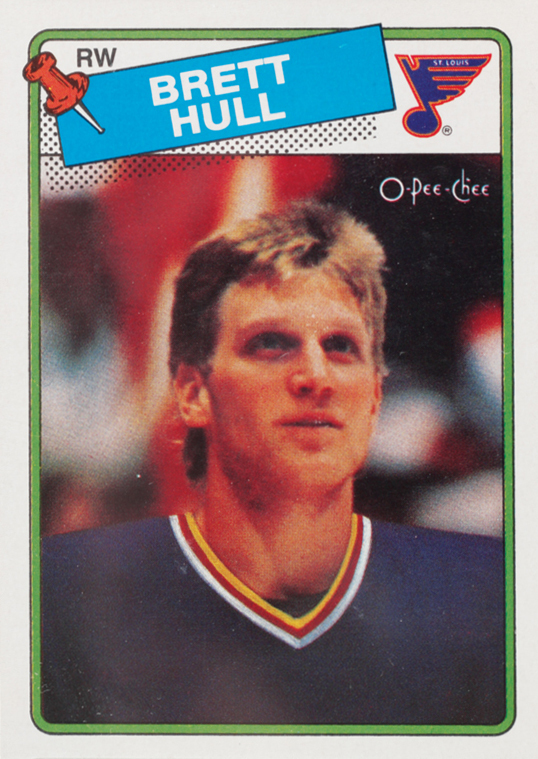 Brett Hull has two rookies cards. One is the card pictured above (the OPC version) and the other which I own is the Topps version. Depending on who you talk to, there is also an OPC minis version which I would also consider a rookie, but not everyone does so we will leave that one off the table. In the early 1990’s at the hockey collecting peak and coincidentally Hull’s career peak, his OPC rookies were selling for 120-150 bucks a piece. The Topps versions which are in greater numbers than OPC were selling for 60-80 bucks a piece. Now it is 20 years later. You think they would have appreciated in value right? Well I hope you didn’t plan your retirement around it because the OPC rookie lists in the June Beckett for $50 and the Topps are listed at $25. If you are a bargain hunter you can easily find them on eBay in NrMT to Mint shape for cheaper. 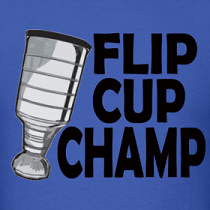 Shouldn’t it have appreciated in value, after all, he is now in the Hall of Fame? Well value is all about supply and demand. Even though there has not been any more Hull rookies created since 1989, there are probably 80% fewer card collectors now than there was back in 1990. Do you consider yourself a collector still? So with the supply remaining the same and demand dropping, the value drops as well. Here is another case where supply far exceeds demand. 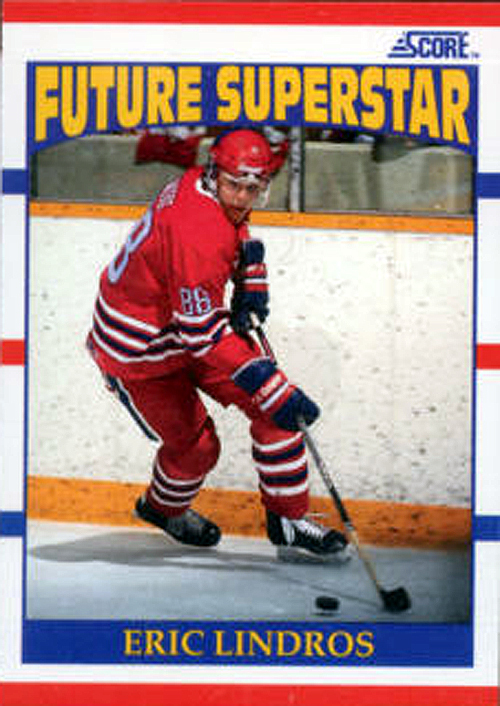 Do you remember when this Lindros card was the MUST have for a collector? I mean, FUTURE SUPERSTAR…..how do you not want to buy a piece of that action? Anyone wanting a Lindros rookie had to get this one because there were no other options. Well Score bet the farm on it by signing him to an exclusive deal and for the first few years of the 90’s that was very true. At its peak, Lindros rookies were selling for about 20 bucks. 20 years later, they list in the Beckett for $3 bucks and Captain Canuck recently posted on his blog Waxaholic that he picked up a couple for 25 cents each at a yard sale. Oh how the mighty have fallen! So that is why I said your cards are probably worth little to nothing. If you want to relive the magic of opening a pack of Score to get a Lindros rookie you can for pretty cheap! There are still cases and cases of unopened Score out there that you can buy for around 10 bucks a box. I did one box a year or two ago and pulled out a few - cheap entertainment is pretty much what is has become. This news is tough to break to my friends who ask me if their collections are worth anything. 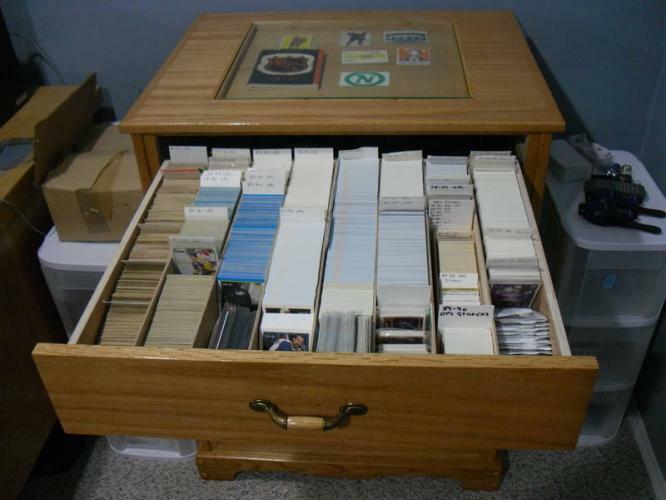 I look at their piles of Pro Set, Score and UD cards from the early 90’s and see the same junk that is under a few beds and in the basement of my home. Some people refuse to believe the truth and have insane ads on eBay (worth $3 in Beckett) and Kijiji (I can’t even tell you what those cards are…) but for the sane people, I am sorry but your investment was a loss. Now not all cards are worthless, there were cards in the early 90’s that do have some value, but chances are they are quite rare, numbered or autographed and that is part of their allure. Cards prior to ‘89 have pretty much remained the same value for the last 20 years and cards prior to 1970 have gone up slightly especially if you have them graded to show they are of “higher” quality. After 2000, card production numbers have dropped to the point where supply and demand are more in balance which is why there are cards like a 05-06 The Cup Sidney Crosby rookie which lists for $10 000 (packs cost about 600 bucks each) or a 08-09 UD Ice Stamkos rookie which lists for $1400 (packs cost about 6 bucks each). Feel like getting back into collecting? i saw the red lindros card going for 45 euros online. Same with me Dev... My plan is to save them for my great great great grandkids and hope everyone else has lost theirs or damaged them. Thanks Dev, sorry to be the bearer of bad news...However, getting some of the worthless cards autographed I have found has made them more valuable to me personally! After all, anyone could have a Troy Crowder UD Rookie card, but mine is autographed by the man himself!